So if it snows on Easter does that mean when Jesus comes out of his hole we are going to get 8 more weeks of winter? 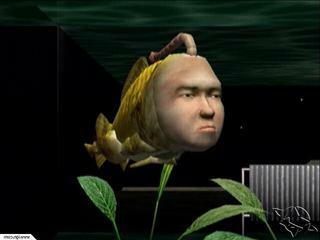 This GAME always creeped me out. So I thought I would share it. Visit my city http://goyya.myminicity.com/ every time someone visits the city it starts to grow. I'm happy that blu-ray won http://www.blu-ray.com/news/?id=1006. Even though I hate Sony. Plus I own about 15 Blu-ray movies already so I kinda saw this coming. I watched Ghost World today I forgot how much I love that movie. I think its going to make me want to put in Lost in Translation. IGN.com has posted the trailer for Hellboy 2. I think I really want to see this. A quick Question. Did anyone out there ever play Operation the right way. You know taking turns and drawing cards? I don't think I ever did. I just tried to get the stuff out without setting off his nose light. I created a custom gamer tag for Xbox Live. Wow I woke up at 730am for no good reason and I'm bored.